Fry the red chili and Urad dhal. When the dhal becomes red remove from the flame. Grind all together into a paste . It is very tasty. 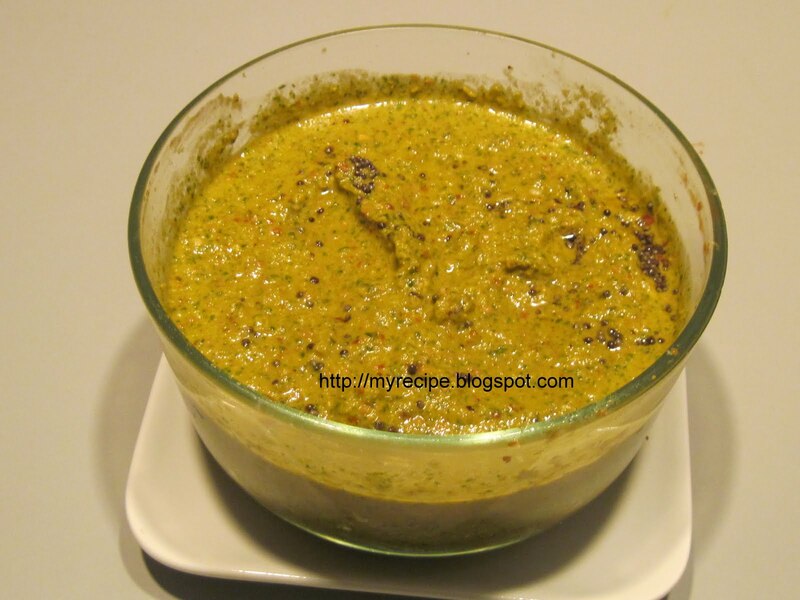 Serve with hot rice/idli/ dosa or chapathi. In South India ,we make vadai, thovaran, puli curry with this vazha poovu.The banana flower which may also called banana blossom, grows in banana plant in bunches..Peel the outer purple colour skin from the banana flower.Remove the bunch of flower under the skin. 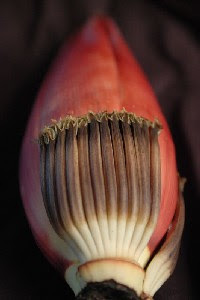 You have to remove the small white stem inside each flower.It is not edible.Chop the flowers into pieces and add two tbsp buttermilk and water. So that it won't discolor. You have to take white thread like thing from inside the each poovu. Chop them into small pieces and add and buttermilk. Heat a pan with oil add mustard seeds , red chili and urad dhal. When the mustard seeds crackle add the chopped flower, turmeric powder and salt. When it is cooked add coconut. 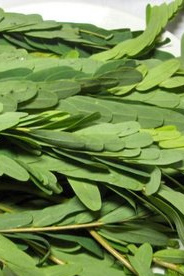 Agathi keerai is very good for health. 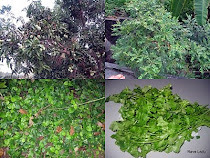 On dwadasi day after Ekadasi the devotees who keep fast on Ekadasi day ,make agathi keerai curry next day and eat.This leafy vegetable helps in balancing the digestion. Wash and chop the agathi keerai. Heat a pan with oil add mustard seeds urad dhal and broken red chili. When it splutters add the keerai , moong dhal,turmeric powder and salt. Cook till the keerai and moong dhal are cooked well. If needed add little water. Then add the coconut. This is a very tasty curry. Serve with sambar rice/rasam rice. Wash and cut 1" long pieces. When the mustard splutters add the long beans pieces, turmeric and salt. Add half a cup of water,mix well and cover it. When the beans are cooked add 1/2 tsp chili powder and1/2 tsp. asafoetida.See the water is dried up and the beans are cooked. Serve this with sambar rice. 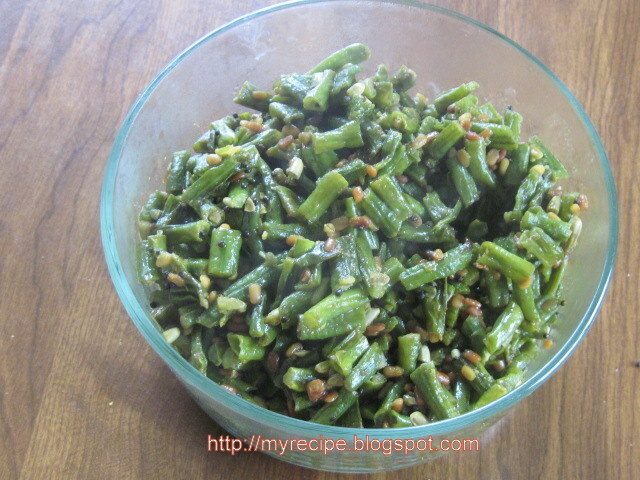 Cut the long beans into small pieces. Cook the same way above. Grind the grated coconut and 2 green chilies very coarsely, add to the cooked beans. This thovaran is very tasty. For Onam Sadya this is one of the items.